Vintage pro audio gear has a certain panache that almost guarantees its consistently high value. But is it functionally better than new gear? It can be if time and money is poured into high maintenance and a fanatical level of tender loving care. But for most of us in the real world, new is better. I learned this lesson recently when I agreed to help an old mentor sell some vintage RCA ribbon microphones he had stored for years. At first, nostalgia took over and I remembered the great sound of these classic mics. 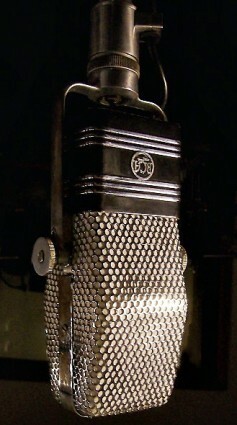 The king of the hill in his collection was the RCA 44BX, one of the greatest microphones ever built. However, his 44 needed work. Lots of work. It needed a new ribbon. The case was corroded. The grille was dented. The cord frayed. When I compared the price of new exact replica, AEA’s R44 series, beginning at $2799, there was no comparison in cost and reliability. Yes, the real thing captures the spirit of the great RCA brand name, but to get work done in the modern world the exact replica wins hands down in my book. The same goes for any vintage pro audio gear. Plugins that emulate classic, well-known audio components have gotten so good that only golden ears that can differentiate their sound from the real thing. Often, the plugin is judged to be sonically better because the hardware probably needs some maintenance. A part of this is nostalgia or provenance. 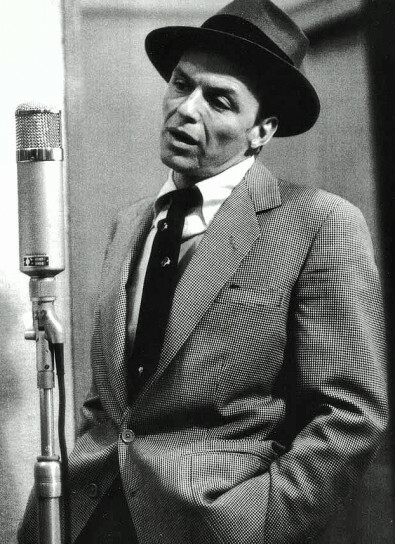 Yes, an actual Neumann microphone used by Frank Sinatra has great appeal to many vocalists. And the owners of such mics maintain them to the hilt — an incredibly costly venture. Replicas can sound equally good, but it’s not the same as the genuine microphone that Sinatra used. This nostalgic aura of vintage gear occurs only in the audio world. Older video gear turns to “junk” status very quickly. But many think different in audio. They believe the magic of the gear that made the classic records of their youth will rub off on them. Of course, no equipment — old or new — was ever responsible for a great recording. It is the performance of the talent and little more. But with the money and support facilities, vintage gear does have a certain elan. It can attract business and give the owner bragging rights to tell a great story behind the gear. It’s value will also never decrease. But, in my opinion, new professional audio gear for most people is far more efficient in a modern workflow. Extreme maintenance, repair and the need for rare replacement parts that often disappear. There’s the security of a warranty and less worry about reliability in daily use. Newer gear also costs much less. Plugins are now so good, they can emulate finicky vintage tube processing gear at a tiny fraction of the price. Computing power has made plugins very easy to use. Modern ribbon microphones — with their rich, natural sound — are far more rugged and lower in cost than the vintage mics of the 1930s. Most newer mics also have better specs and offer higher audio quality. So is there a difference in the sound between vintage and new gear. Of course there is. But if you pay for an authentic replica of the device you desire, most new products from top manufacturers come so close to duplicating the sound of the original that one is splitting hairs to tell the difference. Today, we live in a new golden age of audio. Costs of top quality equipment has fallen dramatically. Any sound from the past can be emulated to a level of precision never before achievable. The limitation is the talent making the recording. If you believe that using the same microphone as Frank Sinatra, the Beatles or Ella Fitzgerald will make you sound the same, you are under a great delusion. Audio equipment is a sonic tool kit and nothing more. Like the artist’s paint brush, it can make either mediocre sound or a masterpiece. The difference comes down to old-fashioned talent — not equipment.